Mary Evelyn Lowe Bates, 89, of Lincoln passed away on Saturday, August 25, 2018, at The Christian Village in Lincoln. Evelyn was born on September 13, 1928, in Fort Myers, FL the daughter of Francis D. and Thelma (Mayer) Lowe. She married William C. Bates, Jr. in Miami, FL in 1947. He preceded her in death on March 10, 2014. Evelyn is survived by her children, Amanda (Steve) Roberts of Arvada, CO; Annette Bates of Lincoln, and William B. (Lauri) Bates of Greensboro, GA; her sisters, Susie McKinney of Waynesville, NC and Daisy Beck of Covington, LA; six grandchildren: Julie Blaser, Bethany Lindauer, John Thomas Andrews, Grayson Ingle, Blinn Bates and Sarah Bates; and ten great-grandchildren. Evelyn was preceded in death by her husband and one infant child. Evelyn was a very active member of her community serving with many organizations including, The Daughters of The American Revolution, Lincoln Garden Club, PEO, Monday Book Club, and ALMH Auxiliary. 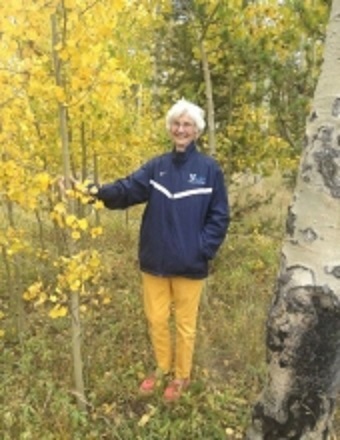 She served as a board member of the Kickapoo Creek Park & Trails, and she was a long-time member of Trinity Episcopal Church, having served on the vestry. Services for Evelyn will be held at 10:00 a.m. Thursday, August 30, 2018, at Trinity Episcopal Church in Lincoln with Rev. David Halt officiating. Visitation will be held one hour prior to the service also at the church. Burial will follow the services at New Union Cemetery in Lincoln. In lieu of flowers, memorial donations may be made in Evelyn’s name to Abraham Lincoln Memorial Hospital, Trinity Episcopal Church, or The Humane Society of Logan County. Services have been entrusted to Fricke-Calvert-Schrader Funeral Home, Lincoln.